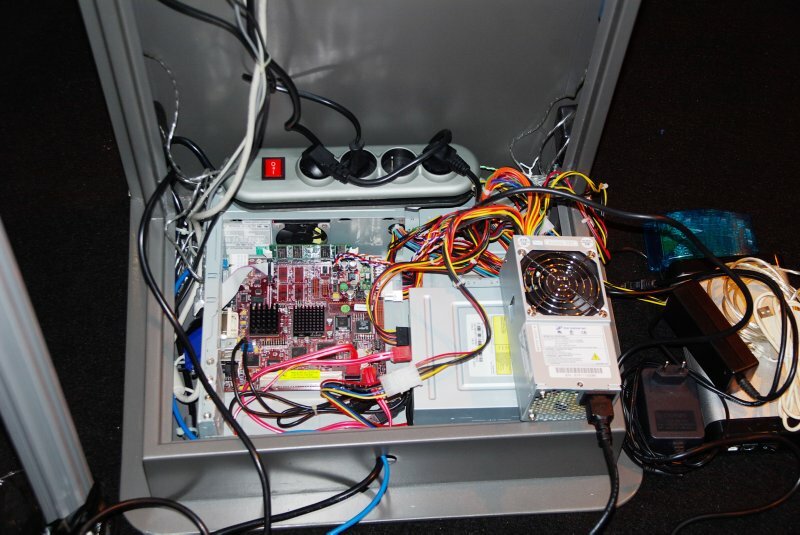 6: The innards of the kiosk system. The Sam motherboard to the left, and a disk and a power supply to the right. This was more or less shoved together in haste just before the show, but in spite of the messy appearance (if you looked behind the scenes like I do here), it ran remarkably well for the whole show and was only rarely rebooted.